Many times, the road to Full Reward will include what appear to be setbacks and obstacles. It is forward movement that will expose what must be purged from your life. Purging is necessary because we cannot take everybody and everything with us on this forward journey. Everybody has not been assigned to go forward with you. And, everybody cannot appreciate the greatness that you can taste! This book has become an account of my life over the period of several years. I feel totally impressed to share my forward story with you, in hopes that you will be blessed and renewed, and discover your courage to move forward…no matter what! I was the worship leader at my former church. There were many Sundays that I sang about chasing after God NO MATTER WHAT I HAD TO DO! I learned a very critical lesson. When we say those seven words: NO MATTER WHAT I HAVE TO DO, we must be prepared for anything! When I started this book, I was a bishop’s wife, pastor of a church that my husband was overseer of, and in crazy love with a man that I thought I would be with forever. I was comfortable to be imprisoned in my own self, and doing whatever I could to fulfill his ministry. It was the beginning of the year when this forward journey began for me. 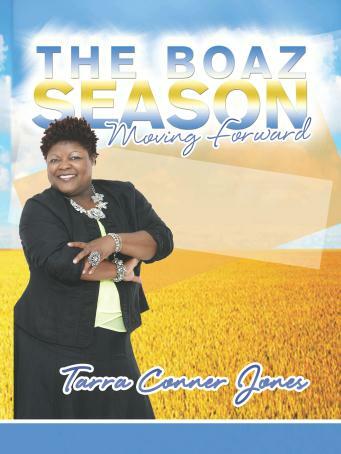 This is my story of moving into and walking through the Boaz Season of my life. God began speaking to me about moving forward as the New Year arrived. Every message He gave me to preach that year was centered on the idea of moving forward. My meat for the year was the entire book of Ruth. What I didn’t know was that God was preparing and strengthening me for one of the greatest upsets of my life. I thought this message of forward movement was what God had given me for the people! Little did I know that it was for ME! The summer of that same year God provided an abundance of divine direction for me. I followed God closely and did exactly as He said. My mother had surgery that summer and was still in the recovery phase as the fall of the year settled in. I remember her coming home in mid-September with the chest tube still in and not having it removed until the end of that month. I attended a women’s retreat in October and knew that a change was on the horizon for me. I knew that forward was my only direction, but I didn’t know what, how, or when. In mid-October, I came home to emptiness. Upon my return from the retreat, I found that my husband had packed up, moved out, and left our marriage. I was no longer a wife. I was no longer the bishop’s wife. I was no longer the pastor of the church. I suddenly became unfamiliar with myself and everything I had known. It was a period of depression and anger. I could not understand how God would allow this to happen to me…I had saved myself and always tried to do it right. But what I realized is that God himself moved me forward into His best for me. Even though it didn’t feel like a good thing at the time or that I would be able to survive this unexpected storm, I stand today as a recipient of God’s divine will. From the moment God himself severed an unhealthy relationship, nothing but good has come my way. Nothing but open doors has been presented to me because; I endured the Boaz Season and made it to the season of incredible favor. In this season, it is imperative that you MOVE FORWARD, and do it NOW! It was at the moment of all of these things happening, that I truly saw the hand of God at work in my life. As soon as I released hurt from my heart, EVERYTHING changed. God was waiting on me to take off my grave clothes. In spite of my efforts to salvage, it became clear to me that God was in total control of what was happening. My job was to accept what God had allowed and believe that His best was being birthed in my life. When I finally learned that, I landed into the right position to shift to God’s destined purpose for my life; Forward! October came and went…and I survived! How did I survive? I kept moving forward. Immediately, I joined fellowship with my father and mother in ministry and began the healing process. Even though my heart was broken, I worshipped. I’m reminded of the verse in Job. He had lost everything he had. Job fell down and worshipped. Worship became the catalyst for my forward movement. I immersed myself in true worship. As I did, God began to literally wrap me in worship. What does that mean? God embraced me. He kissed me. God loved me. It was this enveloping embrace that ushered me back to myself and into position for continuous forward movement. Even though the enemy’s plan was for my demise, I chose to get up, live, and live abundantly. I had been trying to record my first CD for many years. When I chose to get up, I finished it and paid for it in full in November of the same year. What I had been trying to do for the last ten years all of a sudden met me in time. Everything fell into place…and I ordered my first 500 CDs. As part of my moving forward, I resigned from my teaching job at the end of the school year. I did it because God said to do it right then. I have learned to hear God and obey immediately. My instructions were to do ministry and secure a position as a substitute teacher. God was so very faithful. I had more during that season than I had over the past ten years. When December came, I began to feel the ending of a cycle and the beginning of a new one. So, I asked God for direction…what should I do NEXT? The Father gave me specific instructions. After I obeyed, in January of the next year, I was hired in a full time position with full benefits. God did it in exactly seven days. Nobody can do you like God can! 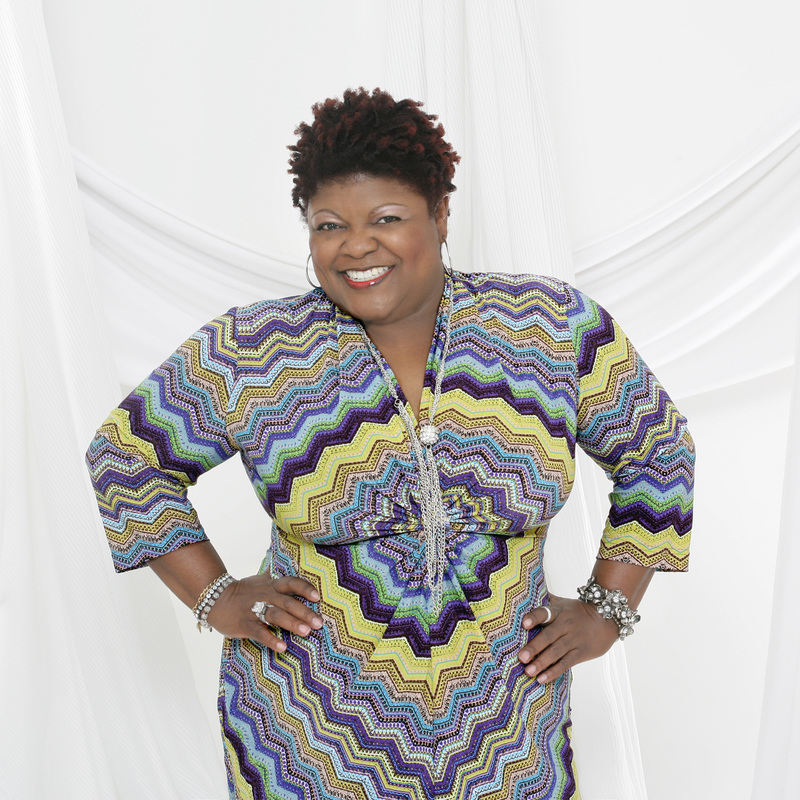 Major ministry doors opened for me and I found myself singing, preaching, acting, and writing more than ever before. I became an aggressive sower and God favored me to be an aggressive reaper. I have more than I have ever had before. I have gone places I had never gone before. I have done things that I had never done before. God has taken me from having no money to having multiple accounts, with money in them all! He moved me from a condo to a house, and gave me a new car! God has shifted me from the borrower to the lender. He has positioned me to have membership in corporate clubs that provide opportunities for me to network with those at the top of their game in business. My CDs came in on Mother’s Day weekend (2010). From May to July, over 500 CDs were sold. I thought 500 would be a lot to order, but God showed me that it really wasn’t enough. I’ve learned that when I choose to move forward and make forward movement my direction, that God will surprise me and “out do” my thoughts and plans. The calendar is accumulating dates, daily. If I’m not preaching, I’m singing. If I’m not singing, I’m on stage acting. If I’m not on stage, I’m teaching. Everywhere I turn; God has opened another door or created another opportunity to favor me. Today, despite it ALL, I’m living in the best season of my life. I am ever grateful to God for allowing me to personally experience what I heard others talk so much about. Remember the song, “Put your time in…PAYDAY is coming after while”? Well that’s the position that God created for me. Today (2014), I am stronger, wiser, better, and more passionate about fulfilling God’s will for my life. The above is a chapter from my book, The Boaz Season…Moving Forward. It was July of 2012 that I released this book. And, that is the very same year that I lost the love of my life, my mama (Chonita G. Conner). We, together, fought a valiant fight against a raging lung cancer. October 2, 2012 she decided to go with God and become my guardian angel. For many months I could not breathe. And even today, life is different and sometimes difficult without the presence of my mama. It’s taken me a few years to rally myself back and choose to be all that I was born to be. My mother birthed greatness, and always pushed me toward it. She knew from the moment she saw me on stage in (Ain’t Misbehavin, 1986) that I was born for the stage. In 2013, a door was opened for me to audition for a role at a major theatre. I accepted the challenge and was offered the job in January 2014. Since then, I have been cast in another show for that same theatre, and obtained my AEA (Actors Equity Association) status. So many doors are continuing to open, and today I am a full-time actress. I don’t know where the future will take me, but I do know that it will be bigger than I could ever imagine. I am living proof that God will take broken pieces, throw them away, and build something brand spanking new!! !